When Sitchin first wrote up his theory about Nibiru, the concept of global climate change was in its infancy, even among environmental scientists. It’s certainly true that science fiction writers had thought about terra-forming Mars, etc, but the idea that we were, as a species, capable of altering our planet’s own atmosphere had not really taken off. Sitchin proposed that the Anunnaki love of gold had a pragmatic reason behind it. Earth was a mining colony, effectively, and the gold was being taken from this world to Nibiru to somehow help sustain its atmosphere. How this might have been put into practice was not clear, besides some kind of scattering effect in the Nibiruan atmosphere. Like the habitability issue, this has been a loose end for many decades. But, like so many times, science has gradually caught up with Sitchin. It’s now easy to see that a technological, industrialised race might create a spiral of change to a planet’s atmosphere, with potentially disastrous consequences, above and beyond the natural cycles of change over time. There are now grand schemes being considered here on Earth to turn the tide of global warming, should its gradual march lead to significant problems in years and decades to come. Might the Anunnaki not have had similar issues on their world, perhaps more advanced? And in what way could gold have been the answer? "I have had an alternative idea to the environmental calamity that took place on Nibiru. I wonder if the problem could have been caused orginally by the Anunnaki trying to terraform their own planet. As I imagine it, if the planet is tidally locked [as described in Andy Lloyd's novel 'The Followers of Horus'] then a great deal of the planet could/should/would be uninhabitable. Trying to increase the heat capturing effects of their atmosphere so they could live on the majority of the planet could have had similar unexpected consequences on Nibiru as this post's topic suggests it would were we to try it on Earth. "Dumping pure finely powdered gold into the atmosphere may have been as ineffective in the long run as trying to use the planet's volcanoes, but dumping nano machines that used gold in some way and/or made of gold could have been more in line for what the Earth's gold was ultimately used for. These nano machines I propose would have been controllable, able to congregate and disperse, rise and sink in the air column when needed to mitigate the negative side effects of geoengineering and enhance the positive effects." This highly original idea made me wonder whether it might one day be possible to create nano-machines that performed basic chemistry? 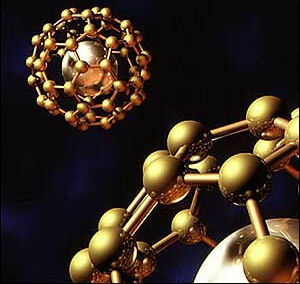 So, taking Mark's idea of gold-based nano-machines buoyant within the atmosphere, might they perhaps act as integrated catalysts designed to take CO2 out of the atmosphere and replace the (allegedly) harmful gas with a less worrisome carbon-based by-product, which would then harmlessly fall to Earth? The energy required to drive such a chemical transition would be provided by UV radiation from the Dark Star, simulating the kind of natural process taking place in photosynthesis. The Anunnaki would have to have churned out an incredible number of these nano-machines to make any kind of long-term impact on a planetary scale. Which would, of course, explain their significant desire to obtain gold from Earth. One of the themes I took up in my novel "The Followers of Horus" was the habitability of a moon orbiting a sub-brown dwarf, and how this might work in practice. The moon would have to be very close to the primary body to sit within its habitability zone - as Earth (just about) does with respect to the Sun - and the likely outcome of this is that the moon would be in a tidally-locked orbit. Our own Moon is tidally locked, meaning that it spins on its axis at exactly the same rate as it orbits about the Earth, with the result that it always shows the same face to us. Similarly, a habitable moon orbiting a Dark Star deep in our solar system would always show the same face towards the failed star, meaning that one side of the planet would be warm, the other much colder. This, and other issues, have been recently discussed by scientists (1). 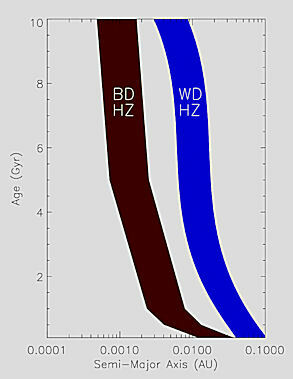 A paper considering whether brown and white dwarfs might have habitable systems has become a talking point (2). Because brown dwarfs are still not very well understood, it is hard to say for sure, but barriers to habitability include the strong ultra-violet light bombarding the moon during the early life of the brown dwarf, causing water to be removed from the surface of the potentially habitable world. Of course, such a process likely also happened on Earth during the early, hotter stages of the Sun's life, and yet here we are, nonetheless. This is a point overlooked by academics discussing the possible existence of water on such worlds. The impact of water-bearing comets is a possible solution to that issue, and it seems likely that a cooled down sub-brown dwarf system in the comet clouds would also pick up water in a similar way. Another solution is planetary migration within the system, where the moon migrates into the habitable zone once the brown dwarf cools. One of the issues South Pole Nibiru videos has is that the skies over the south pole are shared across the entire Southern Hemisphere. What is seen over Antarctica should also be seen in South America, Australia, South Africa, just from a different angle. So when folk talk about Nibiru being seen first over the South Pole, then that should also be true on these other continental areas. I think sometimes they like to project the idea that the skies over the South Pole are in some way exclusive to Antarctica, and thus something anomalous seen there has evaded detection by astronomers in more accessible locations. My theory that Nibiru must be a Jupiter-sized 'Dark Star' has been accepted by many people interested in the Planet X question. Was it a captured free-floating object like the many planets now recognised by scientists, above, or did it originally form alongside the Sun in a wide orbital path? Either solution is a possibility. 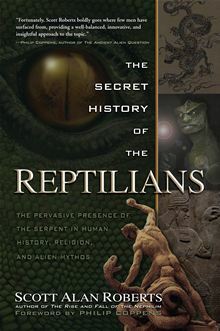 I caught up with a bit of reading recently, taking in a book called 'A Secret History of Reptilians' by Scott Alan Roberts. I don't know the guy, but he had some very strong opinions on Sitchin's work, particularly with respect to the book's general theme of Reptilians. What I wanted to comment on here is how much Sitchin's work on the Anunnaki has become synonymous with the alien Reptilians of David Icke's theories. I realise that on the Internet things have a way of getting a bit puddled. In the old days, when one might have a case of books to refer to, it was easy to dip into who thinks what, by just referring to their books. But now we seem to get a lot of our information about who writes what, online, from secondary sources. It's easier for researchers to read about what someone's written than to actually take the time, and pay the expense, of reading the author themselves. Fair enough, until you start writing your own books taking apart that author based upon what you've read elsewhere about him or her! Another point is that Sitchin seems to have had a bad press of late. Everywhere I see him referred to, it's as a flawed author who might have had some neat ideas but got a whole load of stuff very wrong, particularly with his translations. For me, the individual words he 'translated' were not so much the issue as the overall sense he derived from the texts. Indeed, I've sometimes read through the officially translated sources he refers to and can totally see where he's coming from, even when the wording is subtly different. I'm sure how he depicted the meaning of a given word might be challenged, sometimes vigorously - that's the nature of that kind of scholarship. But some of the high-end criticism that many people refer to omits pertinent details too, or is slanted against his ideas for other reasons. I had a recent email from a reader, D.R., who wondered whether Proxima Centauri (the nearest known star) might have its own planetary system and whether it might be a possible 'ferry' between Alpha Centauri and the Sun. He indicated that this seemed a long-shot, but was intrigued by the possibility nonetheless, spurred on by prior speculation that nearby and fast-moving Barnard's Star might be closer than generally considered. Regrettably, this imaginative idea does not create any great potential for interstellar travel. The problem would be distance, in that ~4 light years would create an elliptical orbit between that system and the Sun's something in the order of tens, maybe 100s of millions of years (Nemesis's orbit in the outer reaches of the Oort Cloud is sometimes placed at about 30 million years, and this would be significantly bigger than that). The vast distances involved here create a natural obstacle. He also wondered whether I was convinced that the constellation Sagittarius is the location of Nibiru. As far as Sagittarius goes, I'm not totally wedded to it. It's just that a busy constellation full of the Milky Way and so on makes a likely hiding place for a hidden object. A thicker haystack, if you will. 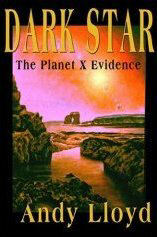 It also fits with several bits of evidence outlined in my book 'Dark Star'. "Nibiru used to be quite large and then at some point, according to Sitchin's theory, its volcanoes stopped erupting and producing greenhouse gases that warmed the planet. This is indicative of lessened geologic activity, the ultimate source of which is non other than the core. This means that perhaps the activity in the planet's mantle and core were diminishing. Diminished core activity is a sign of the mantle and core freezing... as a liquid freezes what effect does it have on volume? If the liquid is composed of mostly water, the volume should increase. For any other liquid, the volume would decrease. So as the core and mantle froze, the volume of the planet shrunk. I am suggesting that perhaps Sedna, with is brilliant red face, is indeed Nibiru." Given that the orbital period of Sedna is similar to Sitchin's Nibiru, this might present a reasonable consideration, even though Sedna is relatively small. My particular interest in Sitchin's work is in how a planet beyond Pluto might be habitable, such that the Anunnaki might enjoy an Earth-like environment. Within that fairly narrow but important frame of reference, the Sedna solution does not solve the problems I have been grappling with over the last 15 years or so, as the loss of atmosphere and water you speak of creates problems to do with habitability. But that is not to say that Sedna does not hold some potential - perhaps life can exist there deep underground, or in artificial domains on the surface. I remain open to many such ideas as this debate continues. Let's face it, the chances of an in-coming comet-like planet having evaded detection are vanishingly small. I've heard all kinds of reasons why Nibiru hasn't been spotted, despite its alleged ominous entry into the planetary zone, but none of them passes muster. If it's out there, the it's really out there - way beyond Neptune, beyond the Kuiper Belt, towards the comet clouds beyond. "Here is what I found in the Annales Regni Francorum about the year 807 AD. Great Year 4. 9 September there was a moon-darkening, at that time the sun stood in the sixteenth part of Virgin, the moon in the sixteenth part of Pisces; but this year at the beginning of Kal.Febr (?) the moon was in the seventeenth part when the planet Jovis (Jupiter) seemed to pass , and III. Id Febr (?) there was a sun-darkening at noon, each star in the twenty fifth part of Aquarius . Again on 4 Kal. March (?) there was a moon-darkening and she appeared back the same evening and seemed to be enormous, and the sun stood still (fixed - did not move? ), in the eleventh part of Pisces and the moon in the eleventh part of Virgin. Om the 16th Kal.Apr(.?) the star Mercurius was visible as a small spot on the sun, but black, a bit above the centre of the star that we have seen for 8 days. But when he first entered or left, the lowhanging clouds obscured our view. In the month of August XI Kal. September (??) there was a moon-darkening in the third hour of the night , the sun positioned in the fifth part of Virgin and the moon in the fifth part of Pisces. So, from the previous year september till the present year september, the moon was darkened 3 times and the sun once. If you want to reply with an explanation or denial, you may do so, but I am not really interested in Nibiru. But I do find the above happenings somewhat odd. I'm not a scientist, just an old guy interested in genealogy and thus in the history of the people around the French and British channel (my ancestral grounds)." This brings up 19th May and 12th November 807, which don't correlate with the three dates considered in your translation. As for Nibiru, that would be a real outside bet from my point of view. But given that the dates discussed above don't really match what you've come up with in your translation, then I can't definitively rule out a more unexpected explanation for the accounts mentioned. When considering an extraordinary explanation, like the appearance of a new planet/star like Nibiru, then one needs to rule out the prosaic explanations first. It's clear that the lunar eclipses don't fit the dates. Perhaps one of the solar eclipses does as a partial dimming event. Here's another consideration; a supernova. A very significant 'new' star appeared around 827AD. the exact date appears questionable, but its magnitude (at -10) is bright indeed - much brighter than Venus, and therefore bright enough to be a significant but temporary daylight 'star'. Perhaps your dating at 807AD is a more accurate one that what is currently recorded.